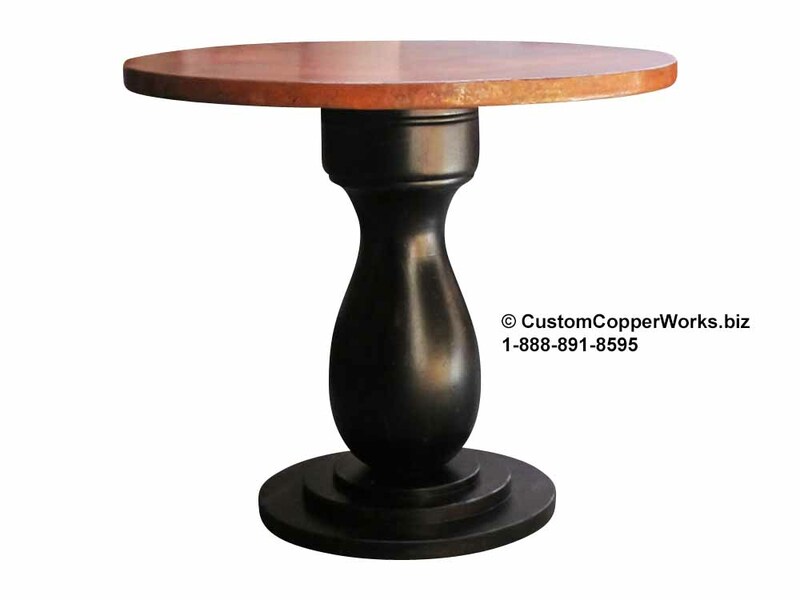 COPPER TOP TABLE: 48” diameter round copper top table; distressed wood pedestal base. A dining table for all seasons, this design compliments most design palettes with minimum modifications — from ranch or western decors to transitional urban decors. 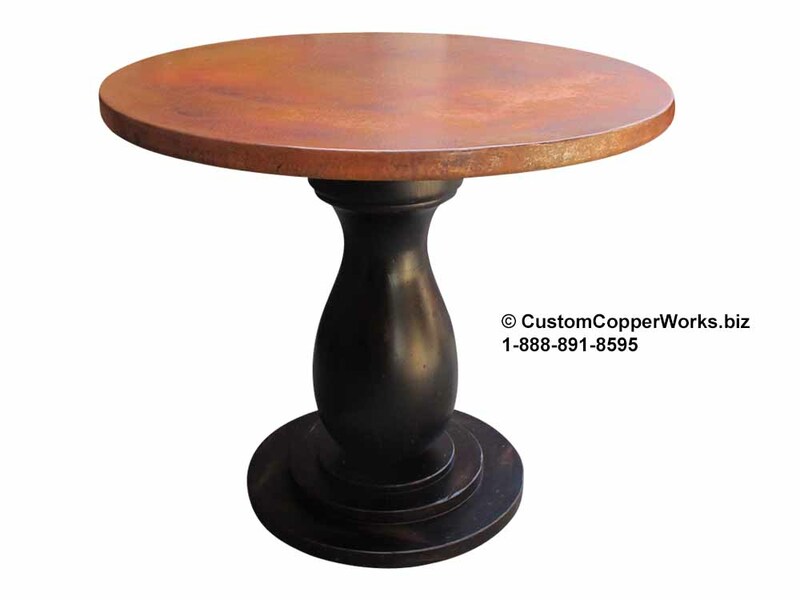 COPPER TOP TABLE: 48” diameter round copper top table; distressed wood pedestal base. The simplicity of the timeless dark chocolate wood table base pedestal design puts the design focus on the vibrant copper table top bright copper oranges and reds. A dining table for all seasons, this design compliments most design palettes with minimum modifications — ranch or western decors, even the more modern or minimalist style… eclectic, contemporary, transitional urban decors. Wood finish: 6W with distressing; polyurethane protective finish. 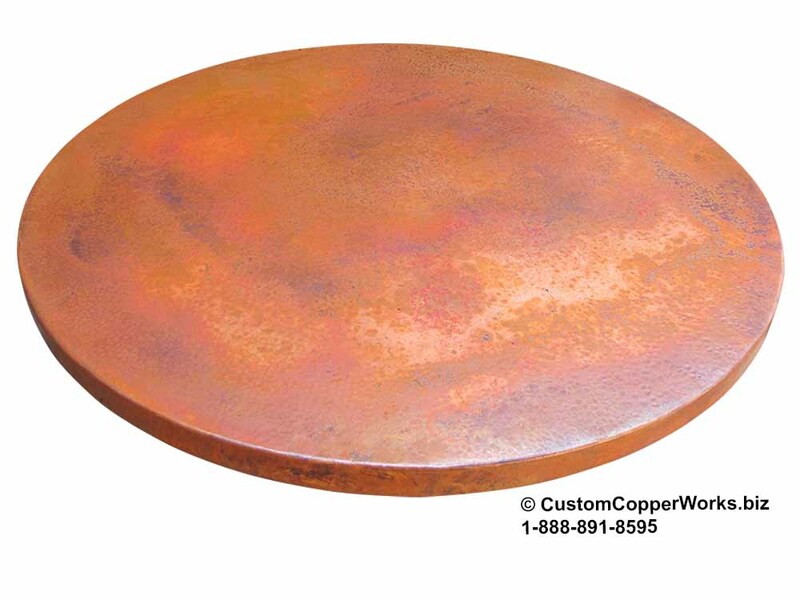 Below are photo approval photos for Lori’s copper table top and base. Click on image to view larger image.